Despite pressure from the private sector for lower interest rates, the Central Bank yesterday kept policy rates unchanged in a cautious yet considerate move, but signalled to the market a downward revision would be likely if outcomes of recent macroeconomic developments warrant such a course. Following the Monetary Board’s meeting yesterday, policy interest rates were maintained at their current levels. Accordingly, the Standing Deposit Facility Rate (SDFR) and the Standing Lending Facility Rate (SLFR) of the Central Bank will remain at 8% and 9%, respectively. The Board arrived at this decision following a careful analysis of current and expected developments in the domestic economy, the financial market as well as the developments in the global economy, with the broad aim of stabilising inflation at mid-single digit levels in the medium term to enable the economy to reach its potential. “Given the current and expected conditions in the domestic economy and the financial market, the Monetary Board observed that the continuation of the current monetary policy stance is appropriate. The Board was also of the view that, if the current trends in global financial markets, trade balance, and credit growth continue, policy interest rates could be reduced in the period ahead, given well-anchored inflation and inflation expectations,” the Central Bank said in its statement. Central Bank also highlighted its rationale for keeping rates steady. 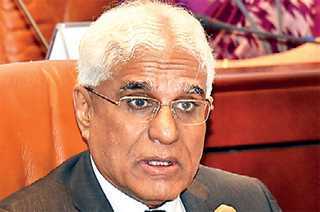 Real economic growth remains subdued: As per the provisional estimates of the Department of Census and Statistics (DCS), the Sri Lankan economy recorded a modest growth of 3.2% during 2018, compared to the revised growth of 3.4% in 2017. The growth in 2018 was largely supported by services activities that expanded by 4.7% and the recovery in agriculture activities, which recorded a growth of 4.8%. The growth of industry activities slowed down significantly to 0.9% during 2018, mainly as a result of the contraction in construction. As per the available economic indicators and other developments, real GDP growth is expected to improve gradually but remain moderate in 2019 as well. A gradual recovery in growth is expected over the medium term, supported by the favourable medium term inflation outlook together with the competitive exchange rate. However, the continued low growth further emphasises the need for implementing growth enhancing structural reforms expeditiously. Despite the recent uptick in inflation, inflation is expected to remain in mid-single digit levels in 2019 and beyond: Headline inflation, as measured by the year-on-year change in both the National Consumer Price Index (NCPI) and the Colombo Consumer Price Index (CCPI), remained below mid-single digit levels. The recent uptick in inflation was driven by the upward revisions to prices of fuel and certain items in the non-food category. Projections as well as inflation expectations indicate that inflation is likely to remain within the desired range of 4-6% in 2019 and beyond, with appropriate policy adjustments. External sector performance continued to improve thus far in 2019: During the first two months of 2019, the deficit in the merchandise trade account contracted, with the continued growth of exports alongside a decline in imports in response to the policy measures adopted by the Central Bank and the Government in 2018 to curtail non-essential imports. Further, increased tourist arrivals in the first quarter of 2019 helped improve associated earnings, although a moderation in workers’ remittances was observed during the first two months of the year. With the easing of global financial conditions and the shift in the monetary policy focus in advanced economies, particularly the United States, inflows of foreign investment to the government securities market have resumed. These developments, along with exporter conversions and seasonal inflow of remittances, led to an appreciation of the rupee against the dollar and other major currencies, and enabled the Central Bank to purchase a substantial amount of foreign exchange from the domestic market, on a net basis, so far during the year. Meanwhile, the receipt of proceeds from the issuance of the International Sovereign Bonds (ISB) helped increase gross official reserves to an estimated $7.6 billion by end March 2019, providing an import cover of 4.2 months. Growth of credit to the private sector decelerated during the first two months of 2019: The expansion in credit extended to the private sector decelerated during the first two months of 2019, reversing the notable expansion observed in the fourth quarter of 2018. Credit to the private sector showed a net repayment to licensed commercial banks during the month of January 2019, followed by a marginal increase in February 2019. Year-on-year growth of broad money (M2b) also slowed down during the first two months of the year. Going forward, a growth of around 13.5% is expected in private sector credit in 2019, while broad money (M2b) is expected to grow at around 12% in 2019. The envisaged broad money (M2b) growth is expected to be somewhat higher than the nominal GDP growth projected for 2019, and as such, is likely to support economic activity adequately without creating excessive demand driven inflationary pressures. A gradual downward adjustment in market interest rates is expected, following the improved market liquidity conditions: Responding to the recent monetary policy decisions to reduce Statutory Reserve Ratio (SRR) by 2.50 percentage points in two steps in November 2018 and March 2019 together with appropriate OMOs of the Central Bank, liquidity conditions in the domestic money market have improved notably. This has resulted in the Average Weighted Call Money Rate (AWCMR) declining by 45 basis points so far during 2019, and reaching the middle of the policy rate corridor. With the improved money market liquidity, along with the favourable market sentiments amidst the receipt of ISB proceeds in March 2019, yields on government securities have also declined considerably so far in 2019. In spite of these developments, other market interest rates continued to remain at high levels thus far in 2019, and the Central Bank will consider and implement mechanisms for more effective transmission of the decline of these benchmark rates to other market interest rates.